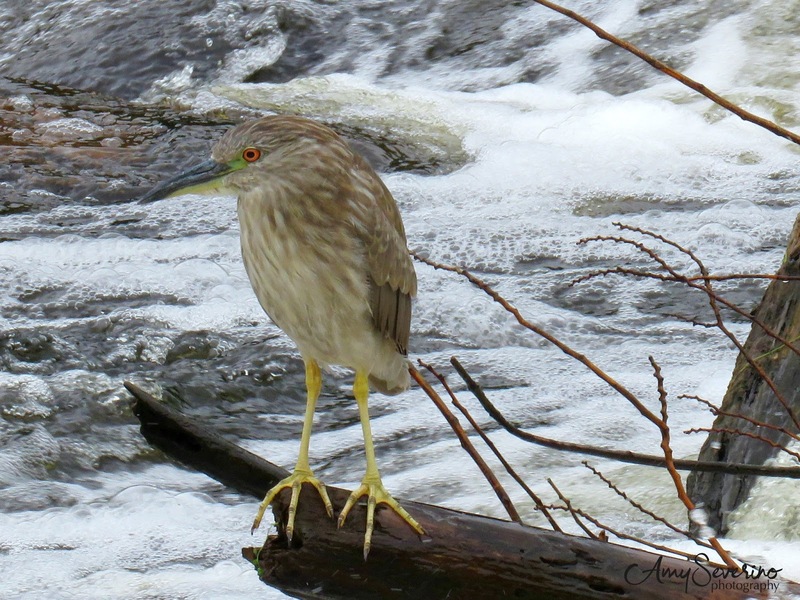 "N" is for night heron, or more specially the black crowned night heron. Last year was the first time I viewed a black crowned night heron. I'd seen some posts on the FB birding group I am a member of and it was a very simple tip about these herons being present at the Watertown dam. 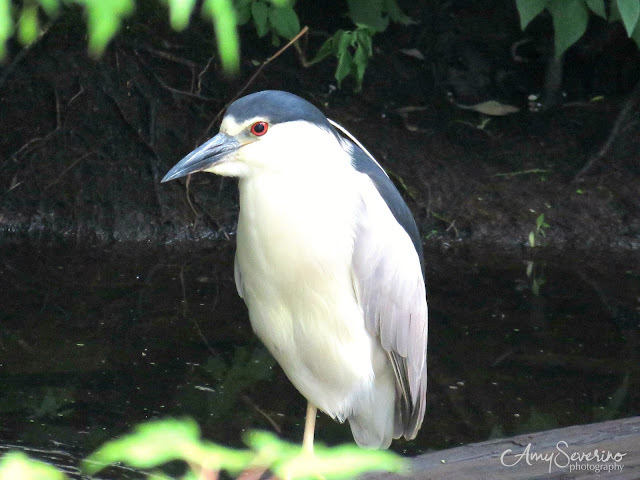 When I arrived at the dam, I easily found a great blue heron, and just a little past the great blue heron, was a juvenile black crowned night heron. 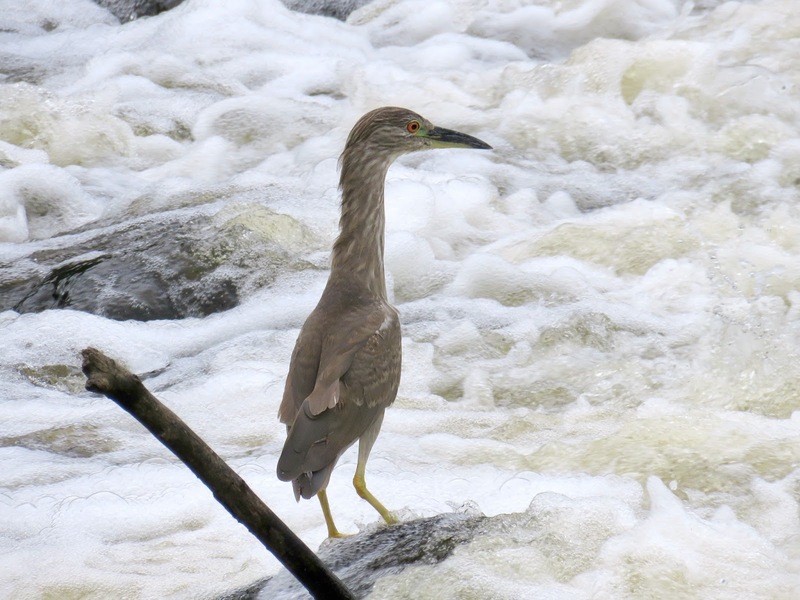 And at the far end of the dam was an adult black crowned night heron. I will be checking this dam again this year to see if they are spending some time at the damn fishing! 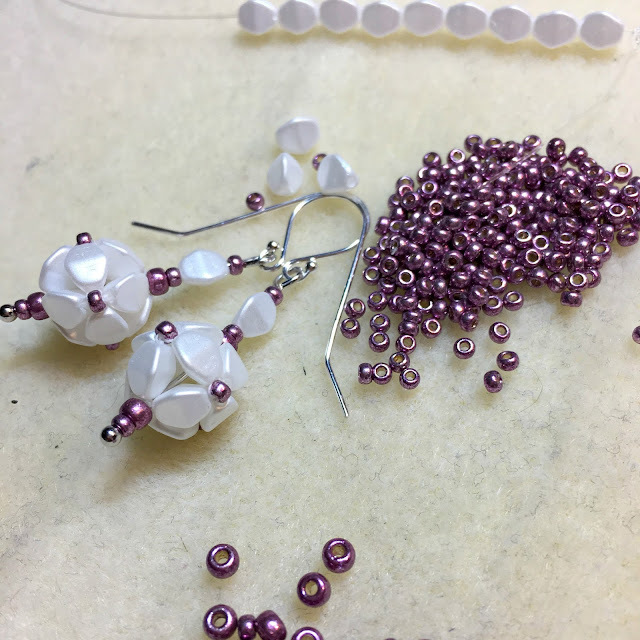 Today's earrings for the A-Z challenge are made with beads made from pinch beads...so pinch-bead beads. These beaded beads are quite simple to make and look fantastic when complete. In fact, they were so easy, I made three pair! 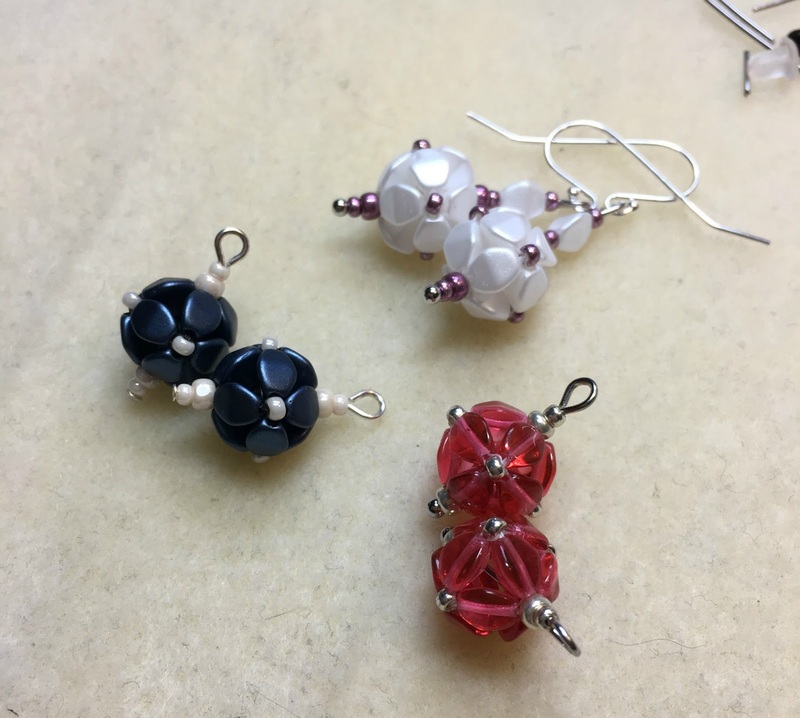 Don't forget, at the conclusion of the A-Z challenge, I will draw a name from all the commenters, who will be awarded seven pairs of earrings! Looking forward to the letter "O" tomorrow! Your bead skills are amazing!!! So are your photos. That Orange Orange eye and those Yellow Yellow legs <3<3 !!! And I LOVE LOVE LOVE those pinch bead beads!!! 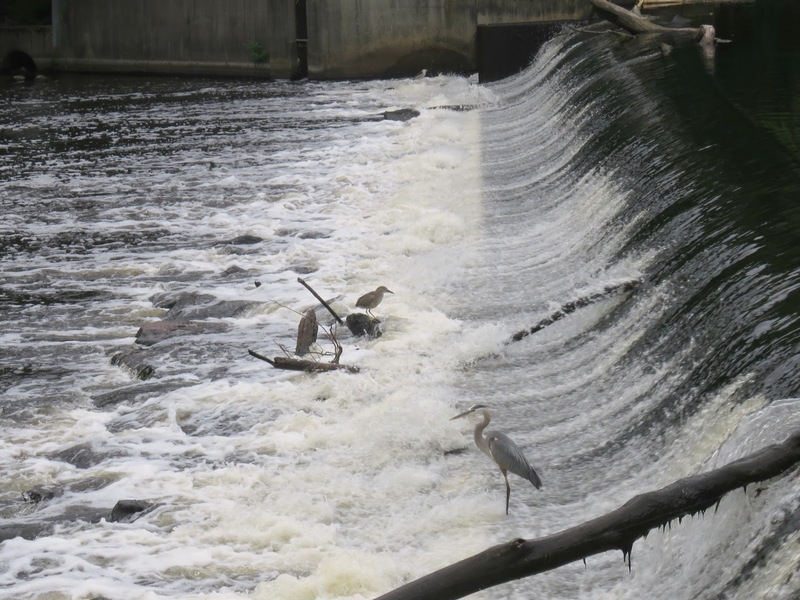 The dam looks like a great place to see birds. 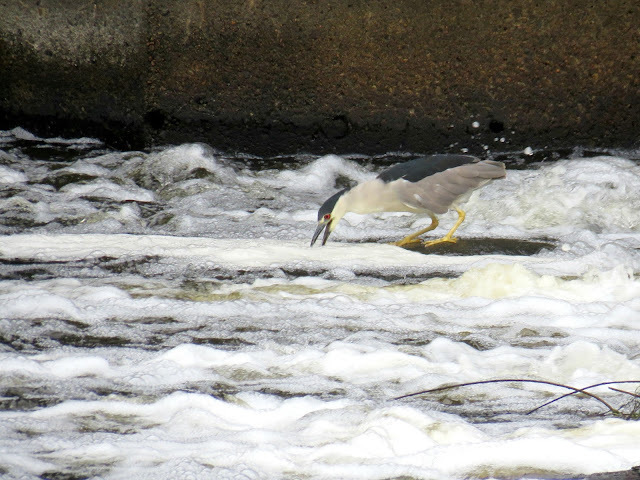 I love to watch how they interact with the water. And the earrings are very pretty, too! Oh my gosh!! this is a CRAZY story and I can completely understand why it bothers you so!!! !